Ceasefire brokered by Egypt, U.S., went into force at 9:00 p.m. but Hamas keeps on firing rockets. Barak said this is to be expected. U.S. President Barack Obama spoke to Israeli Prime Minister Binyamin Netanyahu Wednesday evening and asked him to agree to abide by a ceasefire with Hamas. Netanyahu gave his consent. The terms of the ceasefire are not yet known in full but a partial text has been published. Netanyahu, Defense Minister Ehud Barak and Foreign Minister Avigdor Lieberman held a joint news conference Wednesday evening announcing the ceasefire. However, Hamas kept on firing rockets, and a siren sounded at 9:15 p.m. in Ashkelon and other locations. Netanyahu said: "Eight days ago, Israel launched Operation Pillar of Defense, after attacks from Gaza that were carried out at a growing rate the last few months. "The terror organizations assumed that we would abstain from an aggressive action, but they were wrong. We hit senior leaders, we destroyed thousands of rockets that were aimed at the South, and most of the rockets that were aimed at the center of Israel. We hit Hamas's control mechanisms. Netanyahu said that Israel and the U.S. agreed to work together against smuggling of weapons that originate in Iran into Gaza. Defense Minister Ehud Barak said that while terrorists are to stop their rocket fire, he expects there to be a "small tail," like in previous ceasefires. By this he means that there will be some more rocket fire for a while before the attacks stop. Egyptian Foreign Minister Mohammed Kamel Amr, speaking at a joint news conference in Cairo with U.S. Secretary of State Hillary Clinton, said the cessation of hostilities would begin at 9:00 p.m., local time (1900 GMT). "The United States welcomes the agreement today for a ceasefire. In the days ahead, the United States will work with partners in the region to consolidate this progress," Clinton said. Prime Minister Netanyahu's office confirmed the news earlier Wednesday evening, but its statement leaves room for the use of greater force if Hamas fails to abide by the terms of the ceasefire. "A short while ago Prime Minister Binyamin Netanyahu spoke with (US) President Barack Obama and agreed to his recommendation to give a chance to an Egyptian proposal for a ceasefire and thereby give an opportunity for the stabilize and calm the situation before there is a need to use greater force. The Prime Minister expressed his deep appreciation to the President for his support of Israel during the operation and for his contribution to the Iron Dome system. 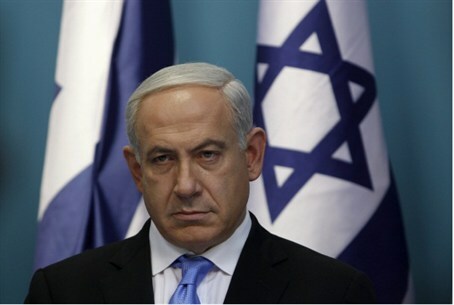 The Prime Minister reiterated that Israel would take all necessary steps to defend its citizens," said a statement. The White House also issued a statement: "The president commended the prime minister for agreeing to the Egyptian ceasefire proposal, which the president recommended the prime minster do, while reiterating that Israel maintains the right to defend itself," the White House said. Demonstrators in Israel's South called on Netanyahu not to agree to a ceasefire, but to restore deterrence and security. A Channel 2 political analyst noted that the demonstrators are largely Likud voters and said Netanyahu will have a problem with these voters if he agrees to a ceasefire at present.